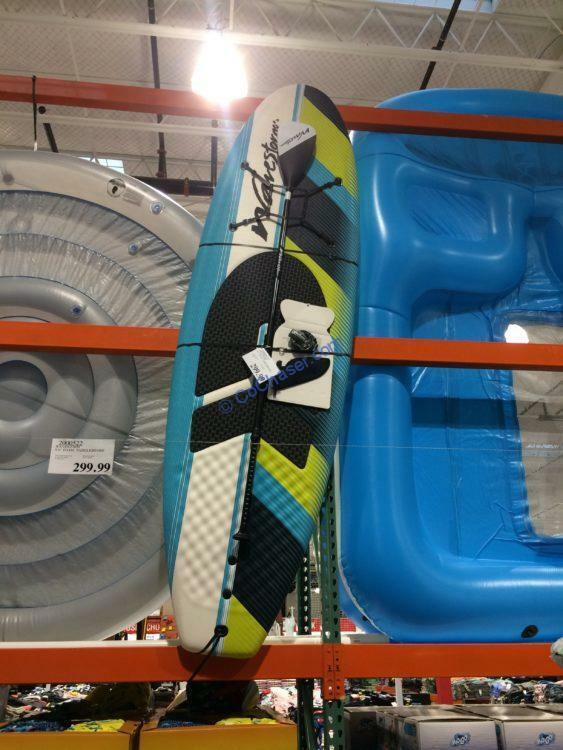 If you are a surfer, paddle boarder, or have just been to the beach in the past few years, there is no question in your minds to look at this Wavestorm 9’6″ Foam PaddleBoard at Costco. The Wavestorm 9ft. 6in. Stand up Paddle Board ushers in a new era for paddle boarding creating an experience in quality and performance for foam layered construction. Featuring a strong EPS core with 3 marine-ply stringers and a resilient Water Barrier Skin soft crosslink top graphic deck skin with internal textured grip and external textured deck grip pads. The maximum rider weight is 136kg/300lb.